Up to now, 50 persons have answered the questionnaire for stakeholders. They represent all kinds of potential end users of the DIRECT-MAT project results: road owners, standardization experts, road designers, contractors, material producers, researchers, laboratory personnel, professional associations, equipment manufacturers and teachers. We are happy to see the great interest in joining our expert group and providing data to the database and all interested will be contacted in due time. The answers are valuable in our database work and we are looking forward to even more answers. 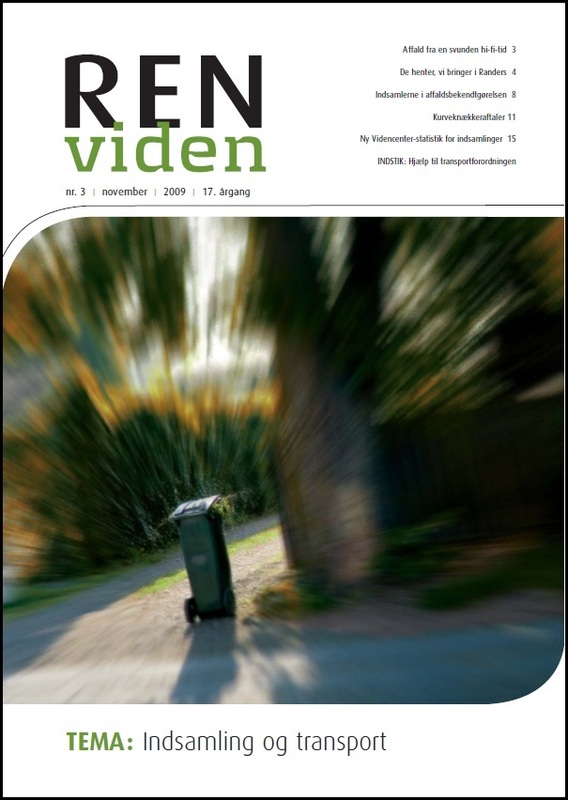 A short notice, entitled “DIRECT-MAT – nu samles erfaringer med genanvendelse af vejmaterialer”, is published in the Danish journal “REN viden” under the theme Collection and transport. It is a public journal about waste and resources and you will find the notice on page 14 in No 3/2009 here. On November 24-25th the European Construction Technology Platform (ECTP) 2009 conference took place in Brussels (Belgium) and Mr Steve Phillips FEHRL made an oral presentation of the DIRECT-MAT project. There is a link to the conference program here. The congress “Kolloquium Forschung & Entwicklung für Zement und Beton“ was held on the 4th of November in Vienna (Austria) and Mr Stefan Marchtrenker, VÖZfi, made an oral presentation of the DIRECT-MAT project. There is a link to the congress program here. On the 15th of October, the DIRECT-MAT project was presented on the ENVIROAD 2009 conference in Warsaw (Poland). This 2nd int conf on Environmentally Friendly Roads was organised by MT Polska and Road & Bridge Research Institute and you can download information on the conference here and Mr Krzysztof Mirski’s presentation here. An introductory article is included in the proceedings and leaflets were distributed to participants. The introductory article entitled “DIRECT-MAT: bringing together best practice on road recycling across Europe” is published in ”The Engineers Journal”, the leading Irish professional magazine. You will find it in No Oct/2009, on pages 425–428, here. A German version of the introductory article is published in the journal "Asphalt", the journal of the German asphalt association (Deutscher Asphaltverband e.V. (DAV)) and the bulletin of the European Asphalt Pavement Association (E.A.P.A.). You will find the article entitled “DIRECT-MAT: Europäischer Technologietransfer über Rückbau und Recycling von Strassenbaustoffen“ in No 07/2009 on pages 12–16. The German version of the introductory article was also published in the journal “BR Baustoff Recycling”. It is the journal of the German association for reclaimed building materials (BRB) and the bulletin of the Fédération Internationale du Recyclage (FIR). You will find the article on pages 24–27 of No 05/2009. An introductory article entitled “Gamla vägar blir som nya” is published in the Swedish journal “På Väg”, No 4/2009. It is the journal of the public road construction company SVEVIA and you will find the article here on pages 16–17. All DIRECT-MAT partners are currently collecting and reviewing national literature regarding the dismantling and recycling or safe disposal of road materials. This will result in national reports which will be synthesised into common European reports in the end of this year. The literature reviewed comprises national guidelines and recommendations; published project reports and state of the art reports; articles in scientific and technical journals as well as handbooks and specifications describing national common practice.